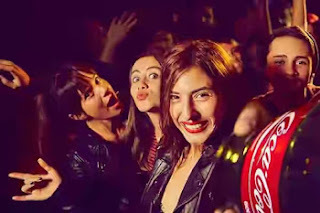 Coca-Cola company fully focusing on Technology this days has invented another device which serves to be the world's first Selfie Bottle that takes a gorgeous snapshot of your face when drinking a Coke mineral. Technology is really climbing higher and higher everyday as new things are being rolled out in a blink of an eye. This is what I call a lucrative strategy, hope you are getting what am trying to visualize here. So In other words, the introduction of this selfie bottle will attract Selfie freaks into ordering for more cans of coke once the bottle is finally available worldwide. The company noticed the way people are buying selfie sticks (especially ladies which are the biggest fans of selfie), how they are so much interested in self photos, With this interest seen in all, they decided to exploit such idea, thereby inventing what will benefit Coca-Cola drinkers of all ages, as one can now take an automatic photos/snapshot with the newly launched “selfie bottle” while sipping a coke drink. isn't that awesome fans? Read on to see how it works. 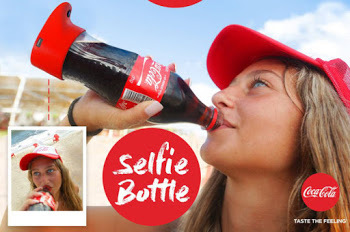 The Selfie Bottle was built in such a way that it has an attached camera-equipped base to a 500 ml Coke in order to perform a nice task for picture purposes. With world's first selfie bottle, photos can be taken automatically immediately when it detects a 70-degree tilt. Interestingly, the photos which was taken from the selfie bottle can be transferred via its USB port to any other gadgets as well as being instantly shared on social media platforms such as Instagram, Facebook and Snapchat etc. 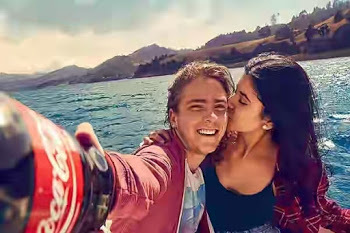 Meanwhile, the “Selfie Bottle” is only made available to Gefen Team for the Coca-Cola as part of its Summer love outdoor festival in Israel. So at the moment, there is no clue or words from the company on when it will be available globally. What's you say on this?